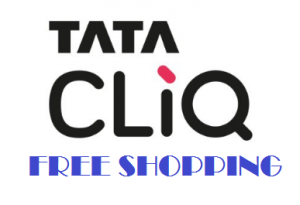 TataCliq PaisaGet Loot: Get any Product worth Rs 200 Absolutely Free! Hey Buddies!! We are back with one more PaisaGet Cool Offer: Get any Product worth Rs 200 Absolutely Free at TataCliq from PaisaGet reference. Means a Free Shopping Loot at TataCliq, isn’t it? There’s no minimum purchase amount required. So you can choose any amount product and get upto Rs 200 back. We have already shared similar PaisaGet Offers before and you all enjoyed them & availed them. So let’s loot and make best benefit of this offer too. IMPORTANT NOTE: This offer is only valid for those who have never installed TataCliq App Before. Cashback will be provided only if the Product gets Delivered Successfully, so please don’t cancel or return your orders. Means if you shop even below Rs 200 then also you will get Rs 200 Cashback. So free shopping + extra cashback if the shopping amount is less than Rs 200. 3. Verify your Email ID by the link sent in your mailbox. 6. Now on next page you will see more offer details. On Right side you will find ‘Get Cashback‘ button. Just click on it. 7. It will redirect you to the TataCliq App Download Page on Play Store. Make sure you are on your Smart phone. 9. Install and Open TataCliq app and Shop for your favorite products of any price. HINT: Search for your Favorite or Required Products in TataCliq App and Sort the Results in Low to High Price Order. Then you can select any of your choice products of any price. For total Free Shopping, choose any product of price Rs 200 or below. You can check the Low Price Product Suggestions Below. 10. Add Item to your cart. 11. Create Account or Login to your Account in TataCliq App. 12. Add / Update Shipping Address. 14. Once your Order is Successfully placed, you will see Cashback of Rs 200 in yourPaisaGet Wallet. Note: The cashback will reflect instantly. It may take upto 20-30 minutes to track your order. So please don’t Cancel your TataCliq Orders, if you cancel it then your PaisaGet Account may get blocked. 15. You can redeem your PaisaGet Wallet Cashback after your product is Delivered. It may take upto 20 days to confirm your Pending Cashback by PaisaGet. No Cashback On Cancelled or return orders. Cashback will get approved only after order is delivered and Return time is Over. Means it may take upto 20-30 Days. So don’t cancel or return your orders. PaisaGet will only be able to track orders through TataCliq App and you should be installing the TataCliq App for the First time in your Smartphone to qualify you for the Offer. Offer valid Twice per PaisaGet User. So you can avail this offer for two times in total. Clear Caches or Cookies or use Incognito mode for Faster Tracking of Orders. Don’t cancel the Order if you think it is not tracked. Just wait for few hours. Offer may expire anytime so be fast to avail it. Here is small list of products which are of low price and you will get Rs 200 cashback for buying them. Just search the Products from the Below list in TataCliq App only after visiting through PaisaGet Website. Tip: Search for your choice products and Sort the Results by Low Price to High Price!! If we find more Products then we will update it here. If you find then please Comment them Below. Thank you! How to Redeem PaisaGet Cashback? Once your Cashback is approved, Click on ‘Withdraw your Cashback’ button option available on Dashboard. Select Mode of withdrawal as Bank, Paytm, Mobile or DTH Recharge, Free Recharge according to your Choice. Enter Amount to withdraw & Bank Details or Paytm Number. Enter the OTP Received to confirm your withdrawal. That’s it! You will receive your Paytm Cash within 24 hours, Money in Bank within 3-4 working days. So this was all about a Big Loot. If you have any question or query then just comment below! Thank you.